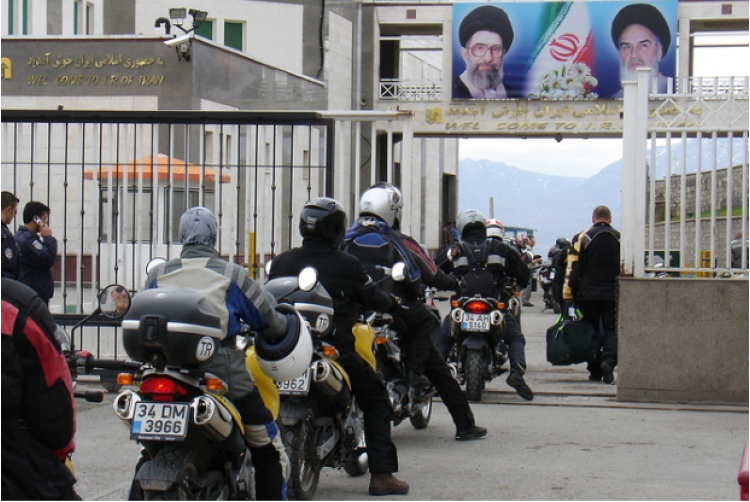 The Iran Motorcycle Tour is scheduled to be on primarily paved roads of varying quality and subject to areas of construction. This is not a tour for the novice rider. This tour is heavy on the culture and history with the purpose of engaging with the local people. 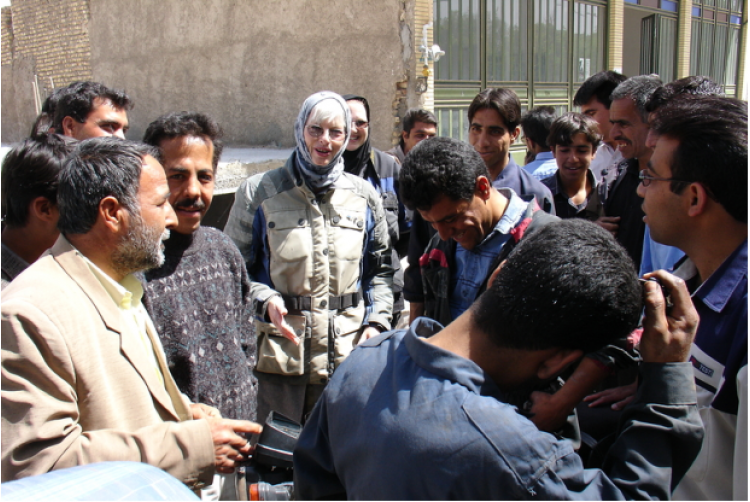 World travelers universally claim that Iran and its people are some of the most welcoming in the world. This was our experience during our first journey there in 2006 with a group of a dozen Americans. This tour is limited to ten motorcycles. Early reservations are essential to obtain visas in advance. Be one of the few to claim the experience of riding the Islamic Republic of Iran and come to know it as only an adventurer can. We start with your arrival in Istanbul, the magical city which was once known as Constantinople. Be sure to come in a day or two early to experience this city on the Bosphorus, where Asia and Europe meet. Motorcycles will be conveniently positioned near the border city of Van in Eastern Turkey. 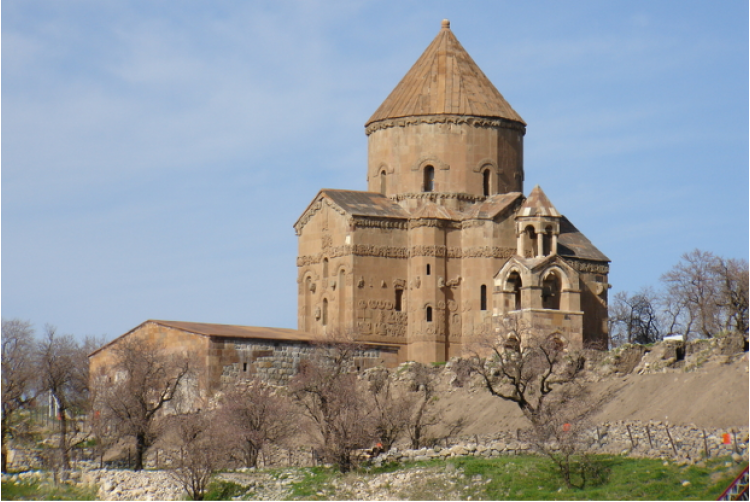 Domestic flights from Istanbul are reserved and included in the tour price. Hard cases in hard places. Visas, logistics, motorcycles and local ground support are expertly researched and orchestrated for you by the MotoDiscovery international team. 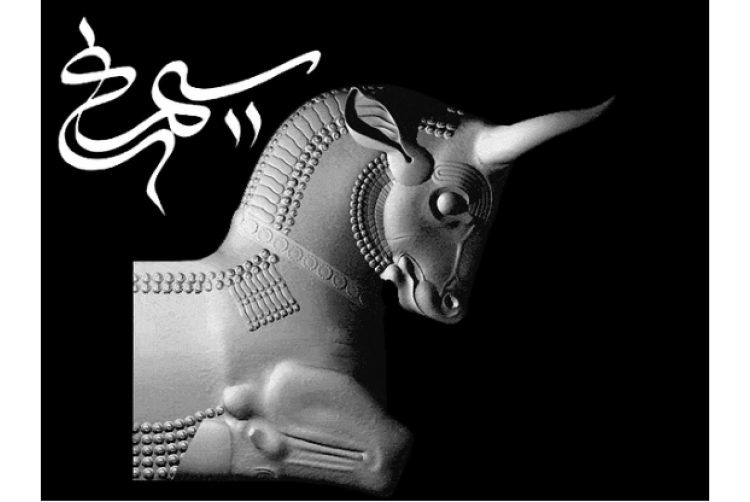 The capital city of Tehran will provide the opportunity to piece together Iran’s history, from ancient Persia to the recent era of the Islamic Revolution. It will also be your chance to engage the people, known for enthusiastic cordiality. Yes. Even to Americans. The bazaar of Isfahan, with mounds of aromatic spices, delicious sweets, rugs, and textiles, will have you witnessing ancient shopping traditions. The city’s blue tiled mosques surrounding one of largest sprawling plazas in the world is a Unesco World Heritage Site and a stunning example of Persian-Islamic architecture. Qom city is the religious center of Iran where it is our hope to have a one on one with local religious leaders, an engagement that no doubt will be enlightening. 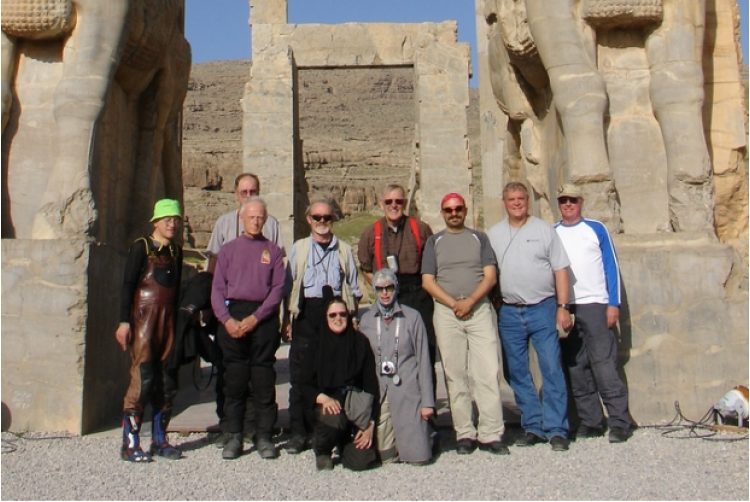 Near the city of Shiraz, we visit the archeological site of Persepolis (519 B.C. ), destroyed by Alexander the Great in the third century BC but still graced towering columns, an imposing remnant of the Persian empire. 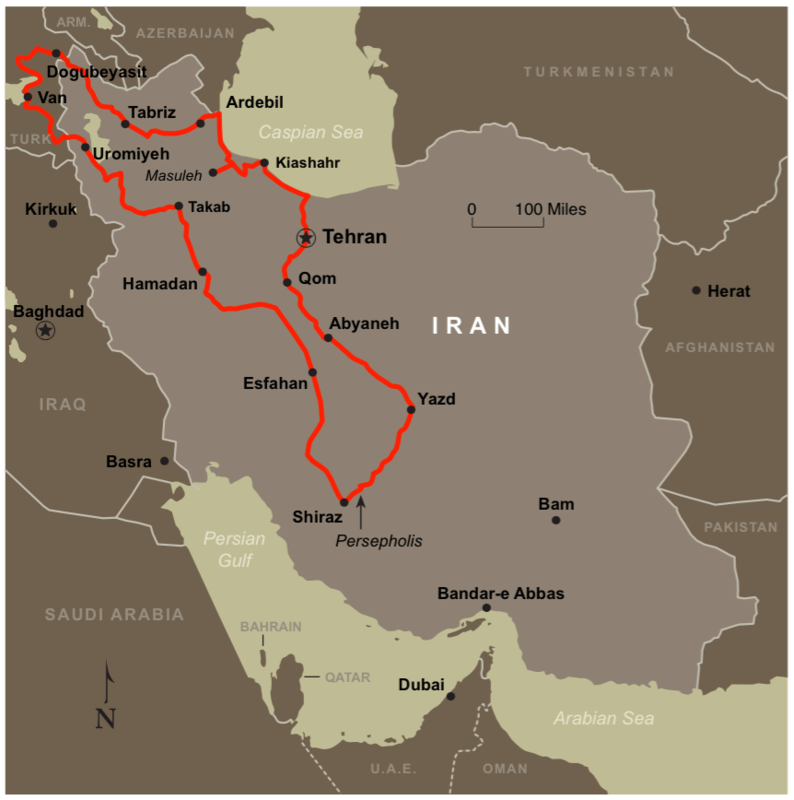 Roughly half of Iran is mountainous, the rest open desert and fertile plains. The ride will offer the kind of variety that is appealing to the adventure motorcycle traveler. Is this a safe tour? Yes. The inherent nature of the Persian culture to be welcoming hosts is evident throughout this journey. You will be in the company of native tour professionals who well understand our needs and concerns. Yes. Definitely. We think it is especially good to have ladies on this tour. Women motorcycle travelers are rare. Curious well wishers will often approach the group with the women of Iran quick to engage the women of the tour, these contacts made along lines of gender as it would be considered to be improper otherwise. Women tour participants must wear traditional head scarves in public. Road surfaces will be primarily paved with optional short distance off road excursions. The scenery will be varied from open arid plains to scenic mountains. The condition of roads would be as you would expect in a developing nation, everything from smooth freeways to irregular secondary roads, all perfectly suited for the experienced motorcycle touring enthusiast. Will it be difficult to obtain a visa? MotoDiscovery will manage the entire application process for you. It takes time so all reservations and deposits for this tour must be in no later than four months prior to the tour. Turkey visas are available “on-line” and obtained in a matter of minutes. This is another MotoDiscovery- Kazoom Moto-Tours collaboration, a magical team of professionals with a track record of creating unique ground breaking motorcycle adventures originating out of Turkey. In Iran we will call on local services (required by law), native Farsi speakers, our facilitators who share our interest in providing an exceptional experience. Yes. The vehicle will transport luggage, any non riding participants and if needed, the ability to transport a motorcycle. The international airfare from your home to Turkey round trip is not included. 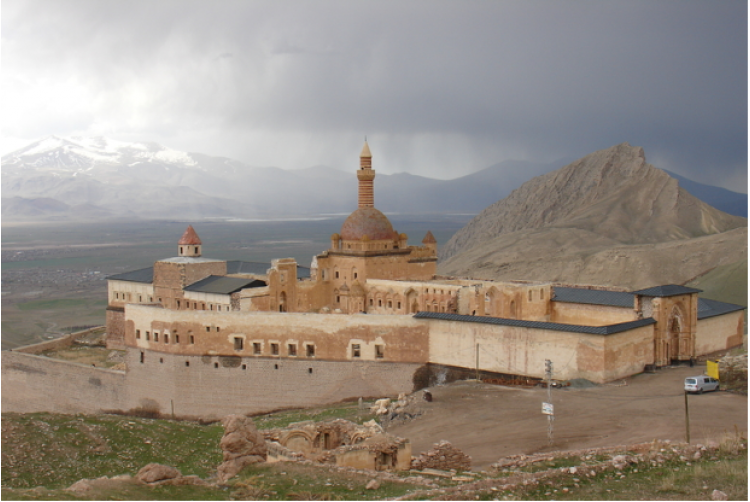 The domestic air where we fly from Istanbul to the border with Iran IS included in the price of this tour. My wife/friend/ partner doesn’t ride on a motorcycle. Can they still join the tour? Yes, on a space available basis there is room for a few non riding participants in the support vehicle. The prices is same as passenger. 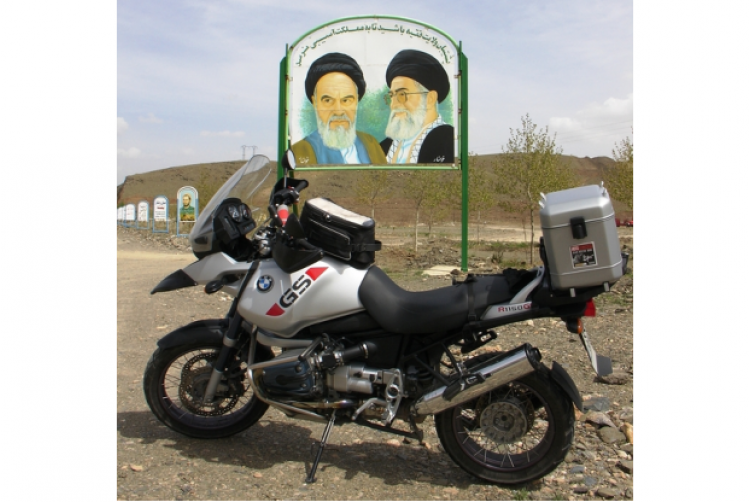 Can I speak with anyone who has been to Iran with MotoDiscovery? Of course. Contact MotoDiscovery for references on this or any of our tour experiences.